Los Angeles-based reggae-rock band The Expanders have become known for their rootsy, rocksteady sound throughout the trajectory of their musical career. Standing as a perfect riddim band, The Expanders previously pumped out an album earlier this year alongside renowned EDM artist Walshy Fire (of Major Lazer) entitled Top Shelf Riddim, featuring the likes of Queen Omega, Tóke and more. 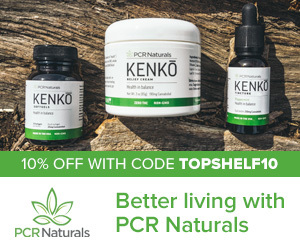 We, at Top Shelf Reggae, strongly approve of their choise in album name. Months later, the pairing is back in action, releasing yet another riddim compilation within the same calendar year called Give Thanks For Life. What a work ethic! Now, a member of Major Lazer isn't what you would first think of when you hear the words 'reggae' or 'riddim'; that said, Walshy Fire creates such divine mixes in Give Thanks For Life it's hard to imagine him working in any other genre. 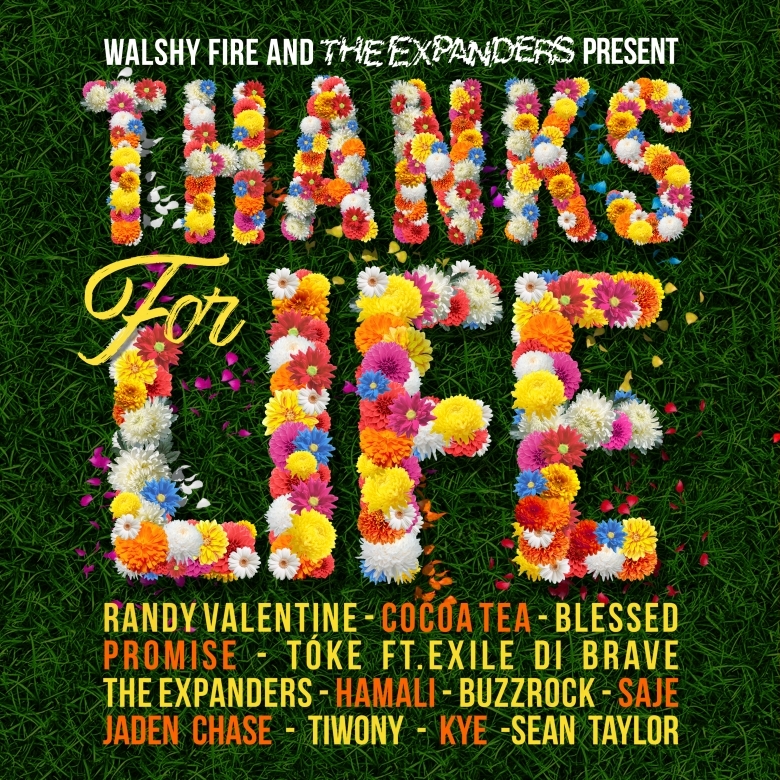 Walshy Fire creates such divine mixes in "Give Thanks For Life" it's hard to imagine him working in any other genre. 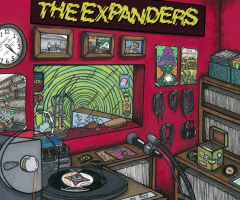 Each track starts with a verbal count-in, introducing The Expanders' signature sound and style with a steady beat. The bubble organ takes over in the bridge, steering the narrative in a rootsy direction while traditional percussive instruments like wooden blocks, claves and güiros collectively up the flavor. The first batter up is Randy Valentine on "Rubble Rebel (Champion)", preaching that you can truly be anybody you want to be in this life. With hard work, there is great reward and no one knows Hustling Culture better than The Expanders. What's unique about this particular riddim album is that the drum and bass aren't the only elements repeating – so does the theme. Give Thanks For Life is truly an ode to blessings in every format. Cocoa Tea in "Mad House" says pray for your country, your neighbor, whereas track three "Money Don't Grow On Trees" featuring Blessed believes that happiness isn't monetary-based. Having goals, money and family is enough to praise the heavens day in and day out, but what about the biggest blessing of them all, love? You can't forget about love. You also cannot stop it or harness it, let alone escape it, which is the subject matter of Promise's track four "Can't Run Away". Other love songs include "System" featuring Hamali, "Something New" featuring Buzzrock and "I Never Knew" featuring Kye. What's better than the love of another? Love for yourself. 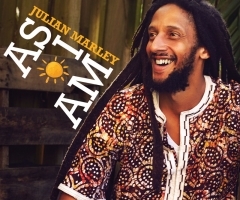 Songs like "Won't Waste My Time" and title track "Thanks For Life" emphasizes appreciating the now whilst striving to improve. Be awake, be free! The title track is posited halfway through the album, allowing listeners to enjoy The Expanders' version of their own riddim. Now that we've heard five other interpretations, let's vibe to lyrics that were supposed to match the instrumentals. The title track is posited halfway through the album, allowing listeners to enjoy The Expanders' version of their own riddim. 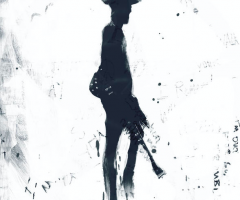 Another six songs later, "Tropical Breeze" concludes the album with instrumental flair, with Sean Taylor's trumpet transforming the riddim you've now heard 12 different ways. It's crazy how one little musical tweak can render such a stark contrast in tonality and personality. More notable turning points on the album is the female vocalists Saje and Kye, proffering impressive vocal range on both "Just Friends" and "I Never Knew". On a male-prevalent, bass-heavy LP, it's always pleasant to uncover sopranic arias and female perspectives. On that note, (pun intended), a change in language is just as refreshing. Track 11, "Mr. Officer", features the French-speaking Tiwony elaborating on the injustices of Rastafarian racial profiling. Sorry, Mr. Officer, not sorry. Give Thanks For Life is now available on all digital outlets as of today. Walshy Fire comments on the album, "Everyone on this project is a good friend of mine, we have the same progressive mission of bringing positive messages to the world.” For more information, visit the links below and, just like the small gap in between the two Expanders releases, it's rumored that Walshy Fire already has another project underway with Abeng, rumored to have a unique Afrobeat/Carribbean sound. Upcoming shows for "walshy fire"